I know one thing.... I spend more money on my kids than I do on me. Maybe that is a good thing, maybe not.. but it is what it is and I am not ashamed to admit it. Let me fill you in on another thing, I love online shopping! A friend recommended Zulily to me once and I have found many things on there I love! Now, I get to share with you something fun coming up! Zulily is hosting THRILL WEEK July 23-27th. Keep reading to learn more of what that exactly means! Savannah gets stuck on tv shows and movies and we have to watch a couple of them on repeat for a while. 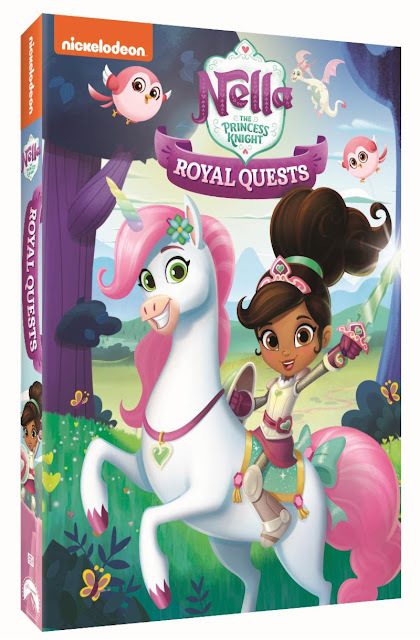 I will be introducing Nella the Princess Knight to her soon. I mean, look! She is a cute little Princess (Savannah is all about them these days!) and she has a unicorn (Savannah has loved them for quite some time!) A friend of mine mentioned that her girls love this show and she just spotted Nella toys, so looks like perfect timing to introduce a new friend, right?